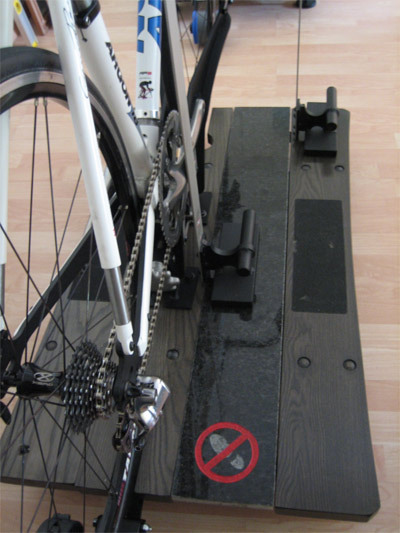 This is the most fundamental of all the techniques applied in the Full Bike Fit. Once the spatial position of the saddle is out of place, there is really nothing that will rectify the discomfort that comes when long distance riding is attempted. The riders’ cycling technique will be analysed as this is fundamental determining the position of the saddle. For a rider without a bike or attempting to purchase a new bike, the AFS bike tool will ensure accuracy and the fit is as close as it will be to being perfect. 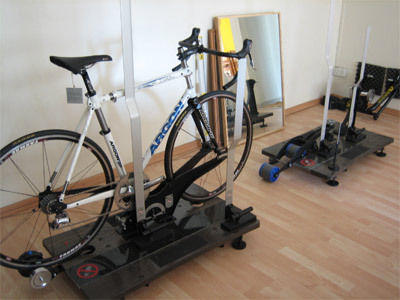 Once the measurements have been transferred to the AFS bike tool and analysed, you will be able to view the bike that you will eventually ride. If you wish, you may try out the mock bike. This system will enable me to access your comfort level and provide the fine tuning necessary until a perfect setup is achieved. You will be required to own a pair (at least) of cycling shoes. If you do not have a pair, grab one pair during the consultation period. We cannot achieve accuracy without you using proper cycling shoes. With the exact geometry and setup, we will then be able to confidently build you a bike that you can proudly say is a excellent fit. We will also be emailing to you your bike geometry based on the measurements provided by the AFS bike tool. Using this document, you may then decide to request a made-to-measure bike or purchase any bike on the market. 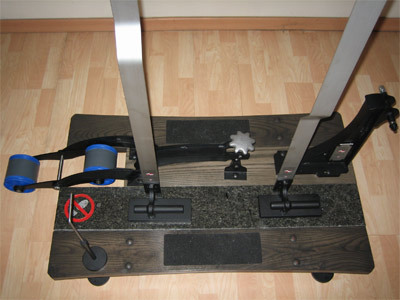 For the riders out there who already own a bike and would like to get to their optimum position for maximum riding efficiency, it is still possible using The Platform. Similar to the AFS Bike-Tool, the Platform will help us measure up to the closest millimeter the position of the saddle and handlebar position when the tweaks are done. This procedure along will take approximately 60 – 90 minutes and will cost S$300. You will need to bring with you a pair of cycle shorts and cycle shoes. To make an appointment, please call/text Mervyn Liew at +65 9668 8934 or email at mervyn@thebikebutler.com. Just wanted to drop you a quick note following my bike fit. As you know I headed off to race the Busselton 70.3 a few days after my fit. From the minute I got on the bike I felt comfortable. The 'special' cleats that I have make my feet feel fabulous and I am so much more conscious of my pedal stroke now. I felt much more confident on the bike and as a result pushed harder and felt strong. The 70km mark is usually the point in the race when I get sore and restless - not this time! I had no discomfort and no pain through my back. My new position has certainly helped my confidence, my cornering and general bike competence has come along as a result.